The Football Association has published final proposals for the future of youth football in England. The recommendations, which follow two years of research and consultation, will be put forward to County FAs before a final proposal to the National Game Board and FA Council in April. If given the go-ahead, the radical changes to youth football - which include a new player pathway and a new approach to competitive football for all children of primary school age - will be phased in from the 2013/14 season, although leagues can adopt the changes as early as next season, should they choose to. The proposals follow two years of research led by FA National Development Manager for Youth Football Nick Levett and his team, including a nationwide tour to discuss the proposals with grassroots coaches and league and club officials from across the country. A new player pathway will see the introduction of two new formats of the game. Under-7s and under-8s will play 5-a-side, while 9-a-side will become mandatory for under-11s and -12s and remain an option for all ages up to under-16s. Each format of the game - 5v5, 7v7, 9v9, 11v11 - will be played on pitches of suitable sizes, with age-appropriate goal and ball sizes. Feedback from the FA roadshows suggest that 92% of people strongly agree or agree with the new pathway, with many describing it as "just common sense". A new 'child-centred' approach to competition will see the traditional eight-month season with one league table - as used in adult football - replaced by a more flexible approach for all children up to under-11s by the 2015/16 season. The new programme, which will ensure a greater focus on development and enjoyment for participants, will combine development matches with creative competition events, so that what children want is at the heart of the process. The FA found that, once the new approach was clearly explained and fully understood, 97% of roadshow attendees were in favour of the new approach to competition. 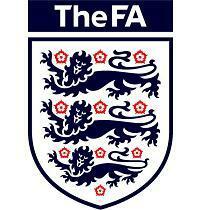 At the start of the 2013/14 season, the youngest football age group will be selected on a calendar year basis - i.e. "2007s" - rather than the traditional under-7s. By shifting the selection year for grassroots football away from school football - which will remain on a September to August basis - the FA hopes to reduce the Relative Age Effect on players born in the summer months, thus increasing retention of players in the game. The FA admit that this is "the hardest concept to understand" but hope to get the grassroots community on-side for what they believe is a "world-leading" approach to this area of the game. The times they are a-changing - tell us what you think! These are exciting times for youth football in England so, if you haven't already, please check out the FA's recommendations. Once you've read them, please tell us what you think. We'd love to hear your thoughts on the final proposals - what you like most and any concerns you may have. "How the proposals look today from where we started two years ago is very different and this has been down to the input from the grassroots game and we thank you wholeheartedly for that. We are very excited as to what the future holds for youth football as we move towards making the game even better for young people." You can follow Nick Levett on Twitter - and even provide feedback - at @nlevett.